This week Ford Motor Company announced excellent news regarding America’s best-selling pickup, the Ford F-150. For the 2019 model year, the Ford F-150 was the only truck to earn the top-tier ‘good’ rating in every crash category during safety testing performed by the Insurance Institute for Highway Safety (IIHS). The 2019 Ford F-150 received a Superior rating in front crash prevention, and was also the best performing truck among 11 pickups evaluated in passenger-side small overlap front crash testing. 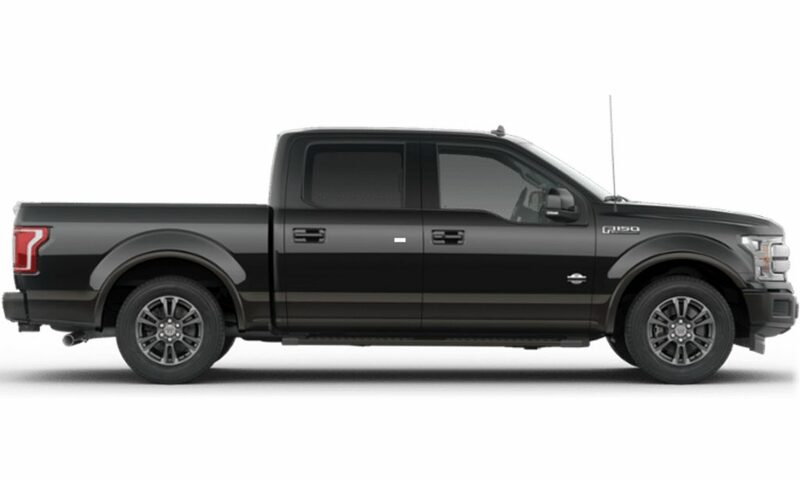 The former was made possible thanks to pre-collision assist with pedestrian detection, while the latter was enabled by Ford’s use of high strength steel within the frame, in addition to high-strength, military-grade aluminum alloy in the body of the F-150. The F-150 did, however, receive a rating of ‘poor’ in the category that judges headlights. This pertained to the headlights on XL, XLT, and Lariat trims which come equipped with halogen reflector lights that do not have the ability to curve when taking corners. Best-in-class ratings from the IIHS came shortly after recent testing by the National Highway Traffic Safety Administration (NHTSA). The NHTSA awarded the Ford F-150 crew cab a five-star overall vehicle score, as well as a five-star rating for the driver and passenger during all crash categories. Ford reports that a cross-functional group of Ford truck veterans worked thousands of hours to help improve durability, capability, fuel economy, and safety for the 2019 Ford F-150. The team created 31 safety-related innovations including structures that manage crash forces. Ford also developed new joining methods which were tested virtually with computer simulations and then retested in Ford’s advanced laboratories. In order to manage crash forces during the Insurance Institute for Highway Safety small overlap front crash test, Ford created a system of innovations that work in conjunction to help achieve a winning result. These systems included a patented extruded aluminum roof crossmember and additional frame crossmember, along with nylon hinge pillar reinforcements that save weight, and specially designed wheel blockers. All of these systems work together to control crash forces and provide additional safety – hence the best-in-class results. The immensely popular Ford F-Series is the only choice for many truck buyers, in fact, Ford sold nearly one million F-Series trucks last year in the U.S alone. As far as the Ford F-150 is concerned, one was sold every 29.3 seconds in 2018. It’s a good thing then, that they hold up in the unfortunate event of an accident.